The topic of Random Vibrations is the behavior of structural and mechanical systems when they are subjected to unpredictable, or random, vibrations. These vibrations may arise from natural phenomena such as earthquakes or wind, or from human-controlled causes such as the stresses placed on aircraft at takeoff and landing. Study and mastery of this topic enables engineers to design and maintain structures capable of withstanding random vibrations, thereby protecting human life. 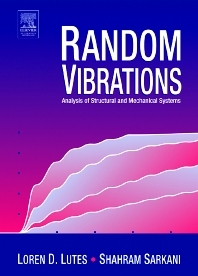 Random Vibrations will lead readers in a user-friendly fashion to a thorough understanding of vibrations of linear and nonlinear systems that undergo stochastic—random—excitation. Offers intuitive explanations of concepts within a context of mathematical rigor and relatively advanced analysis techniques. Essential for self-study by practicing engineers, and for instruction in the classroom. Students in graduate courses in random vibrations or probabilistic structural dynamics.